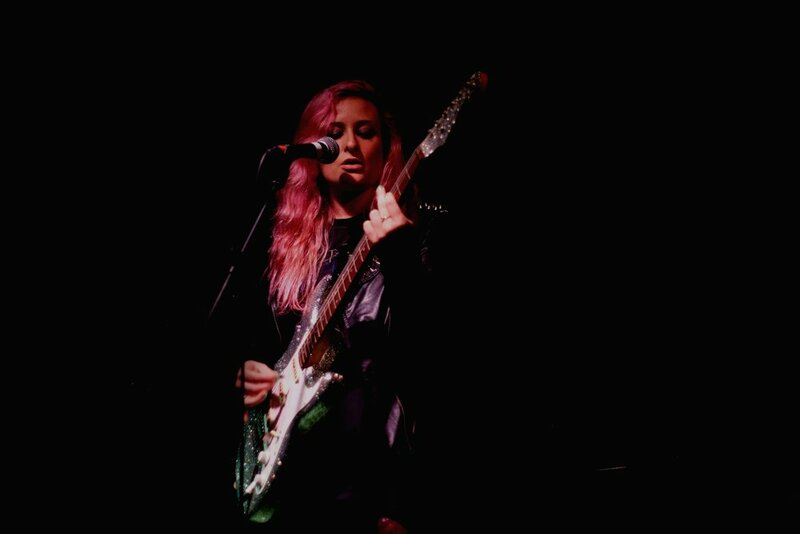 "Just this week I saw Lara Smiles on her knees pulling squalls of ferocious sound out of her guitar like some industro-pop alchemist"
Fusing an avant-garde mix of indie and electro, Lara’s music is guitar-driven, synth-inspired and brimming with colourful layers of alt-pop. Influenced by a diversity of music, Lara started out writing punk and soul tunes on her guitar – but discovering underground raves in her teens led to a love of dance music and experimenting with samples. Having caught the eye of BBC, XFM and international DJs, Lara’s music has received extensive airplay on radio stations in the UK and globally. She’s performed at some the worlds largest venues and music festivals and already has four Glastonbury performances under her belt. She has supported and shared the stage with many legendary artists such as Pete Doherty, James McCartney and Richard Ashcroft. Lara has recently featured as guest vocalist on several albums for established artists and bands, including Shed Seven, The Orb and Jah Wobble. She is also writing and giging with popular dance band The Egg. Lara performed four times at Glastonbury this year and was excited to play on one of the main stages, The Glade. Lara and Tom Findlay of Groove Armada are currently working on a new single together – it's a dark techno track that she wrote in her tour bus bunk – Tom loved the tune and a collaboration was born. Lara's songs are available to buy on iTunes and Amazon. Her recent singles are co-produced by Lara and legendary producer Youth (Primal Scream, The Verve, Paul McCartney).